Carpet samples showroom with 100's of colours & textures to choose from. Over 50 rolls of carpet in stock. Naturals, Twist Pile, Saxony, Stripes and much more. Over 150 room size roll ends. 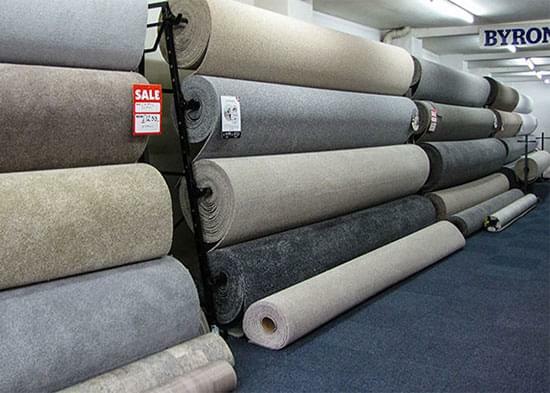 Established in 1974, Byron Carpets is a family run business with the sort of customer care and after-sales attention that is hard to find anywhere else. 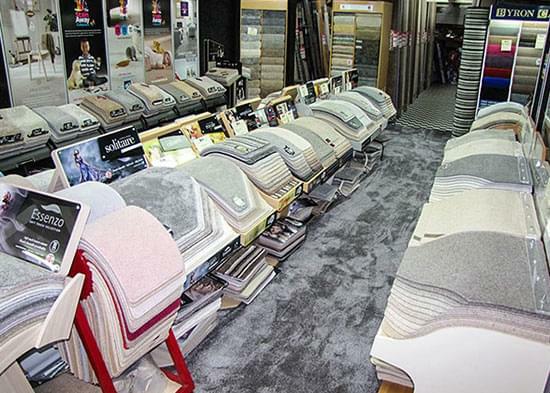 Call in to our showroom and see our incredible selection of carpets, vinyls and wood flooring in a huge range of colours, styles and patterns, to add comfort, style, appeal and warmth to your home. We offer free help, advice, measuring and estimates so you can price up the whole job with absolutely no obligation. 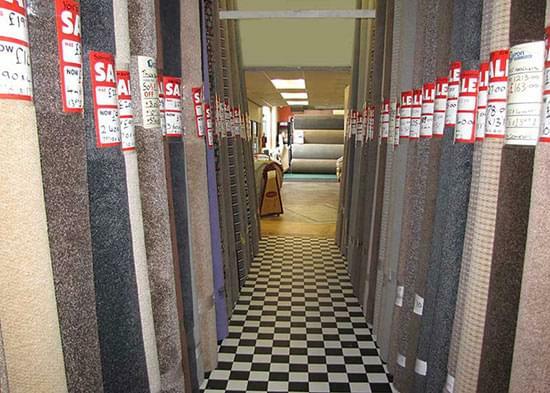 Unlike most other carpet and flooring specialists, we offer the complete, start to finish fitting service. If furniture requires moving or old carpets need taking up and disposing of, for a small charge our fitting team will take care of it. All you need to do is sit back, have a cup of tea and let them get on with it. Ask for details when you book your fitting. You will be amazed at the choices, thrilled with the ideas, and pleasantly surprised at how affordable everything is. Note: Whilst every effort is made to keep to these times, it may be necessary to open later or close earlier for home visits and measures.